For decades rattan furniture has boasted a place in many homes because it is such a durable natural material. The Ancient Egyptians were fans of rattan furniture and over time the traditional methods used to hand-craft beautiful items of furniture and objects out of this wonderful material has continued to be popular all over the world. Modern designs have made rattan furniture more popular than ever before because there are so many to choose from. The rise in popularity of rattan furniture carries on which means more and more styles and designs than ever are available to suit all properties and budgets. 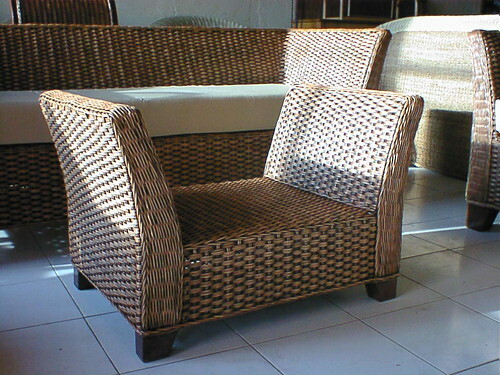 If you choose to invest in rattan furniture made out of a synthetic material you get the best of both worlds. Stylish furniture that’s incredibly durable and it’s really hard to tell the difference between natural rattan and synthetic because the weave looks exactly the same. There’s a great choice of designs to suit both the interior and the exterior of a property. If you are looking for a way to revamp a pool area, liven up a patio or to add a cachet of style to decking, rattan furniture offers you a very affordable option that would fit the bill perfectly. However, if you’re looking for some very stylish furniture for a dining room, sitting or conservatory there’s a splendid choice of designs to choose from too. Rattan furniture is an ever popular choice when it comes to bedroom furniture because beds are extremely comfortable whilst side cabinets, wardrobes and dressing tables add a certain unique style to a room in a very unique way. Again there are some wonderful modern designs or you may prefer to have a more traditional look to your bedroom but either way by furnishing it with rattan furniture you can really add your own personal touch to the space. When it comes to colours and finishes, the modern take on rattan furniture offers you a brilliant choice which makes it so much easier to find something that fits in with a project whether interior or exterior. 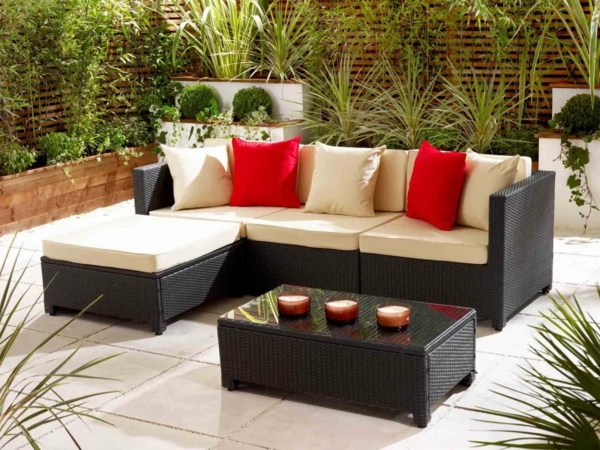 These days’ finishes are extremely durable and this means your furniture is well protected from the elements although it is never a good idea to let natural rattan furniture get soaking wet. Rattan furniture is incredibly easy maintenance and as long as you store it away somewhere nice and dry during the winter months, it will last you a lifetime. Keeping your furniture looking in pristine condition involves very little work; just a quick vacuum to get rid of any dirt and debris that might have got lodged in the weave and a quick wipe over with a damp cloth and your furniture will look as good as new. If you notice any mildew forming, wiping it off with a solution of vinegar and water will take care of the problem in no time at all. Rattan furniture has remained a popular choice with many people all over the world because it is stylish, affordable and extremely durable. Whether you are looking to buy furniture for use outside or indoors, there’s an amazing choice when it comes to designs, colours and finishes making it easy to find furniture to suit a project you are planning this spring.